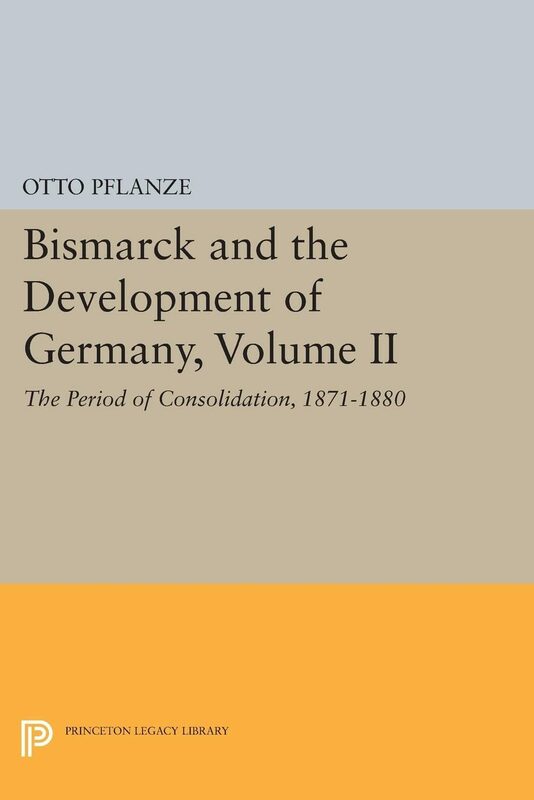 "The Period of Consolidation, 1871-1880, Volume II" opens at a time when Bismarck had become the dominant figure in German and European politics and the new German Reich the most formidable power on the continent. Questions arose. What new goals would the man of blood and iron" now pursue? What new conquests might be necessary to satiate a people steeped in the history and legends of medieval empire? Pflanze offers a comprehensive treatment of the years of consolidation, when, in reality, German unification introduced not a new era of conquest and bloodshed but a period of international order that lasted, despite many crises, for more than forty years.Originally published in 1990.The Princeton Legacy Library uses the latest print-on-demand technology to again make available previously out-of-print books from the distinguished backlist of Princeton University Press. These paperback editions preserve the original texts of these important books while presenting them in durable paperback editions. The goal of the Princeton Legacy Library is to vastly increase access to the rich scholarly heritage found in the thousands of books published by Princeton University Press since its founding in 1905. Otros ebooks de Otto Pflanze.